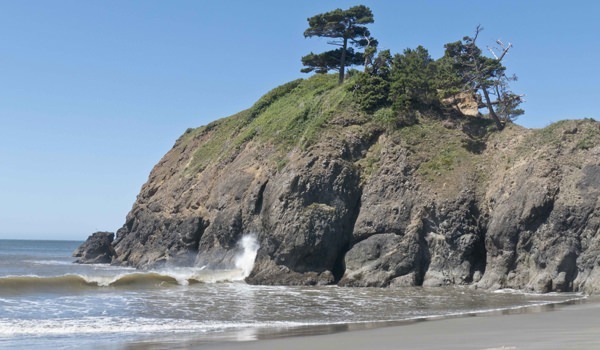 Battle Rock Park in Port Orford beckons to visitors passing through this little town with its beautiful view of a curving beach and coastline, near-shore rock formations and towering Humbug Mountain rising up at the edge of the shoreline some five miles away. For many travelers, the park is just a quick stop to take in the view, but those who spend a little more time in this coastal village will discover spectacular natural areas, one of the world’s most unique ports and surrounding outdoor recreation areas that draw hikers, surfers, kayakers and other adventure seekers. Although there’s much more to be discovered in Port Orford, Battle Rock Park is a good place to start. The wayside is located in the center of town where the highway turns east-west and the park offers a view of many miles of coastline to the south. The distant landscape is dominated by Humbug Mountain that rises nearly 1,800 feet, its western flank dropping into the Pacific. 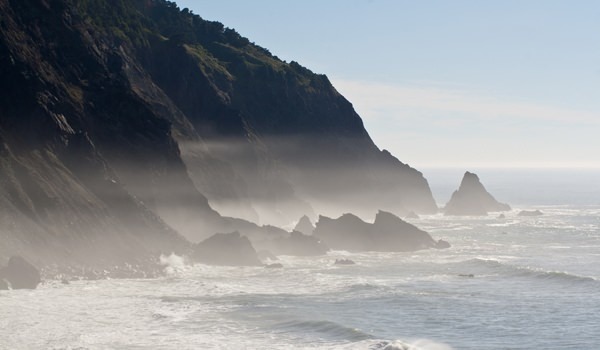 Between Port Orford and Humbug Mountain is a grouping of offshore rocks that make up the Redfish Rocks Marine Reserve. This highly productive habitat for fish and marine life is one of five Marine Reserves in Oregon dedicated to conservation and scientific research and is off limits to fishing. Battle Rock itself is a narrow spine of rock disconnected from the shoreline, but rising from the beach below the viewpoint and stretching over 400 feet into the ocean waters. During accessible tides you can walk to the top of the rock for a different perspective on this grand scene. This landmark was named for a skirmish in 1851 between the native Tututni people and a group of nine men who were left ashore by a steamboat to establish a settlement. 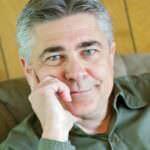 The men eventually fled the rock when the natives attacked their naturally fortified position on the rock. Battle Rock Park is also home to the Port Orford Visitor Center, a good stop for maps and information on regional and local attractions. Port Orford has one of the most unique fishing ports in the world due to its headland-protected natural harbor. 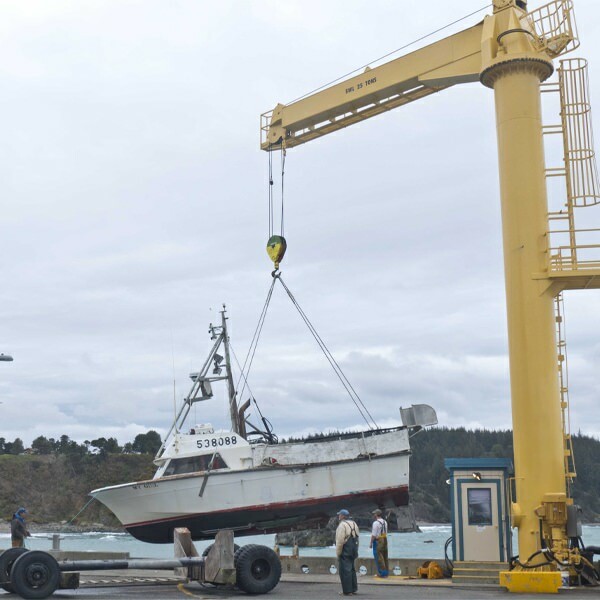 The Port of Port Orford is home to a small fishing fleet of about 30 boats, but unlike most ports, no boats are moored in the water. The port features a dolly dock where each boat is lifted in and out of the sea via a large crane. Boats rest on dollies or trailers in the port until they are ready to head to sea, when they are wheeled over to the crane and lowered into the water. It’s a fascinating process to watch if you catch the action in the morning when boats are setting off or in the afternoon when they return with their catch. When visiting the port, keep your eye on the surrounding waters as Gray Whales are frequently seen lingering in this area. The port is also home to Griff’s on the Dock, a small restaurant and perfect place to enjoy the catch of the day in a fisherman-casual setting. A five-minute drive from Battle Rock Park will lead to Port Orford Heads State Park. The rugged headland juts into the Pacific, protecting small coves and the town’s natural harbor. Short hikes encompass the headland offering scenic views and you can learn about the region’s history too. The park includes the Port Orford Lifeboat Station that was constructed in 1934. Today, the original two-story crew quarters and office building houses a museum with exhibits related to the history of the lifeboat station. 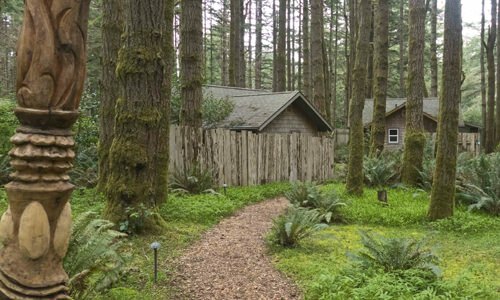 Several short hiking trail segments traverse thick Sitka Spruce forest and overlook Nellie’s Cove where you can still see remnants of the lifeboat station’s boathouse. A viewpoint on the south side of the trail overlooks many miles of coastline and the trail extends onto the headland to the northwest for 180-degree panoramic vistas of the rock-studded coastline. You can choose a quick and easy three-quarter mile trail out to the headland and back or do the entire perimeter loop, including to the end of the headland trail, totaling about 1.25 miles. 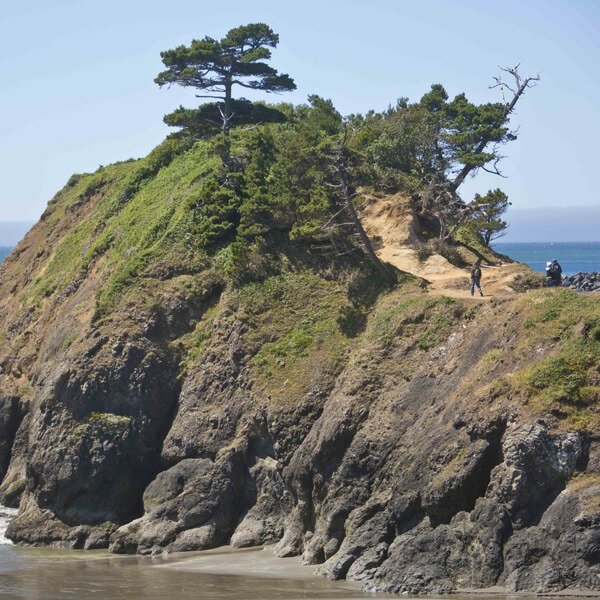 If Port Orford Heads gets you warmed up for a longer hike in the region, there are three great options within a 15-minute drive: the Humbug Mountain trail about six miles to the south, along with Blacklock Point and Cape Blanco about 15 minutes to the north. 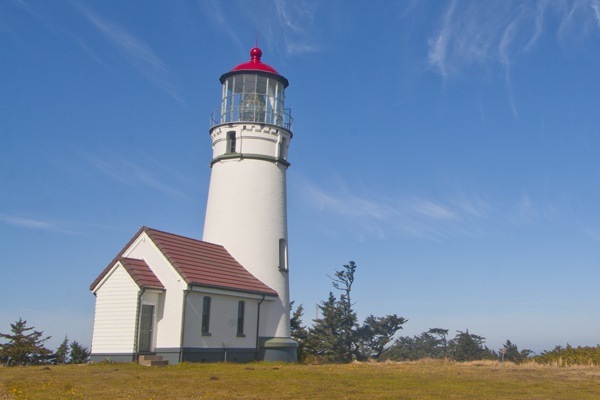 Whether you hike or not, the trip to Cape Blanco to visit the lighthouse and take in the view is a must. For more outdoor fun, the Port Orford area offers some great options for adventures on the water. Kayaking, surfing, windsurfing, standup paddle boarding and kite boarding are all popular activities. Floras Lake, a 20-minute drive to the north, is the center for many of these activities and Floras Lake Windsurfing offers rental gear and lessons. 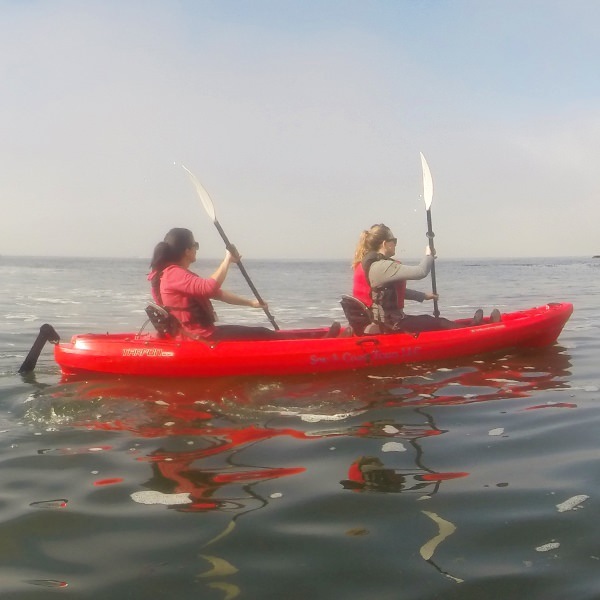 For sea kayak adventures, South Coast Tours offers a variety of wildlife and fishing tours exploring the waters of Port Orford Heads, the arches of the Samuel Boardman State Scenic Corridor and other locations. 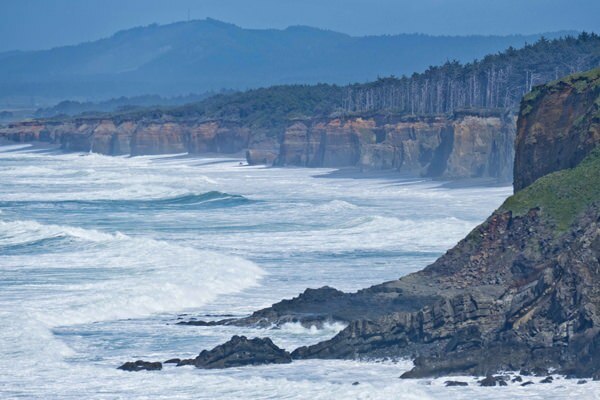 Port Orford also offers two of the best surf breaks on the South Oregon Coast. Both the waters south of Battle Rock Park and the Hubbard Creek area, about a mile to the south, are among the top spots for surfers. Battle Rock Park is often best left to experienced surfers while Hubbard Creek can be good for all levels of surfing ability. Scuba diving is also a common activity in Port Orford as divers explore nearby coves and shipwrecks for recreation, research or to harvest sea urchins. The port offers easy access and the waters are known for exceptional visibility. The port now features a scuba fill station, along with restrooms and shower facilities to accommodate divers. After a long day of outdoor adventures and exploring Port Orford, there are some good choices to enjoy food and drink. 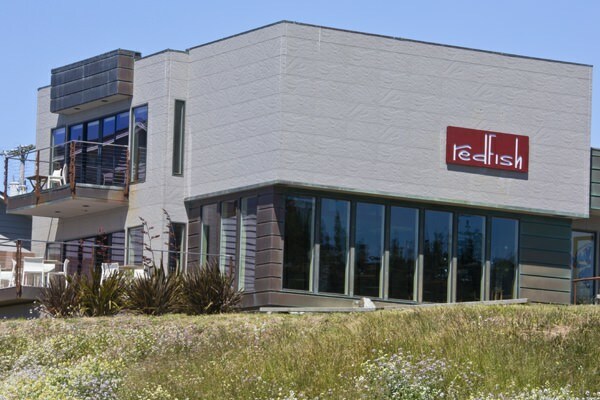 Adjacent to Battle Rock Park you can enjoy fine dining or cocktails at the ocean view Redfish restaurant. 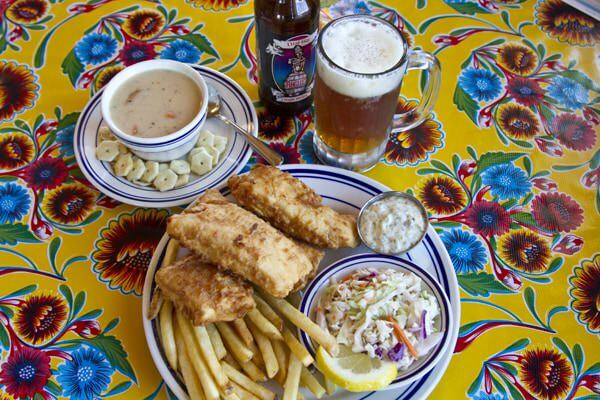 For a more casual meal, the Crazy Norwegian’s Fish and Chips is a Port Orford classic with many rave reviews. Any trip to the Floras Lake area should include a visit to the Langlois Market, located highway side in the town of Langlois. The market is practically world famous for its hot dogs and homemade mustard, but the store itself is a gem offering many local and specialty food and beverage products. 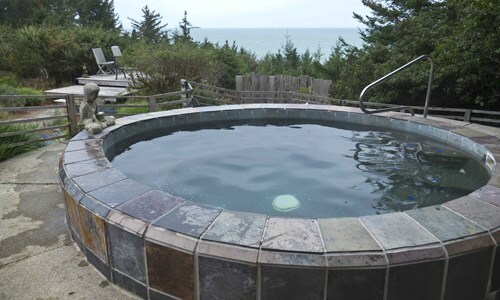 Located oceanfront overlooking the Port of Port Orford, Castaway by the Sea is a historic property dating from the 1940s. 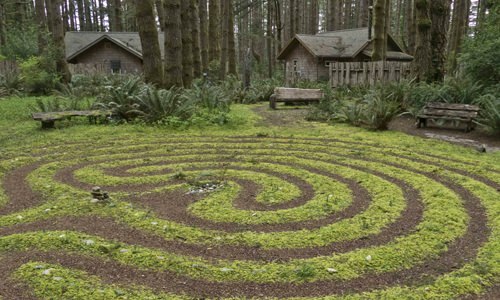 For those seeking a natural retreat with an artistic edge, WildSpring Guest Habitat offers five elegantly furnished cabins in a forested setting featuring numerous outdoor art pieces on the forested grounds.